A perfect blend of Organic Peppermint, Sage and Licorice Root…very sweet after taste and great for sore throats. No Caffeine. An ounce makes approx. 10-12 teas. 2.5 ounces should make just about 30 cups of tea. 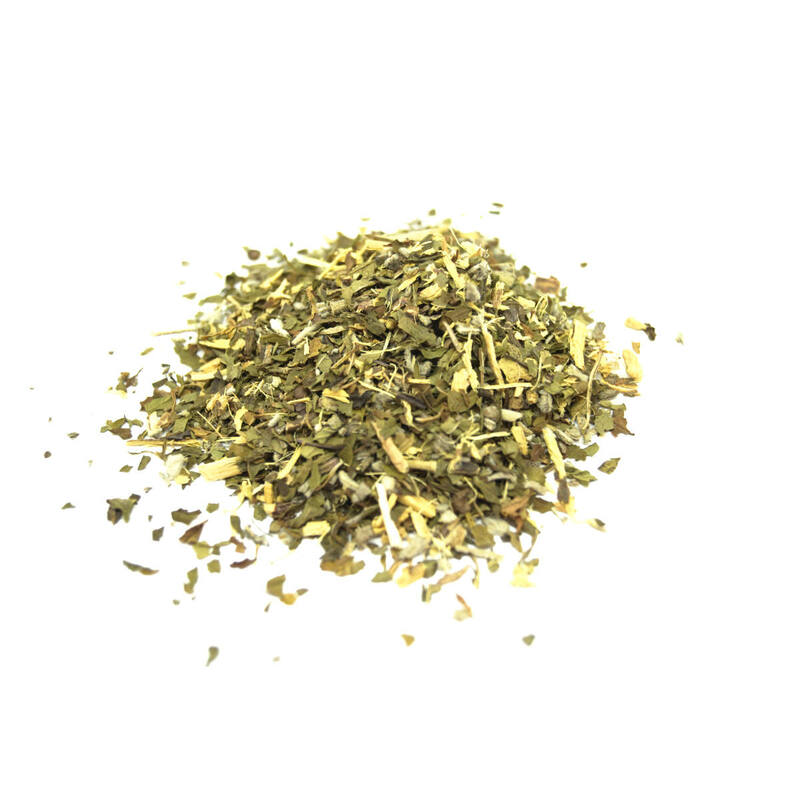 A perfect blend of Organic Peppermint, Sage and Licorice Root…very sweet after taste and great for sore throats. When talking about the many types of tea, Tisane (Herbal Infusion) or Herbal Tea is really not tea at all. It is made like a tea and all the same items are used to make it but it does not contain the Camellia Sinensis Plant, but is simply roots, flowers, leaves, and fruits put together is a combination that is made just like a tea. With that being said...the health benefits of a Tisane or Herbal teas are different. They can vary depending on the ingredients and combination of herbs so there is no blanket health benefits - just depends on the ingredients. 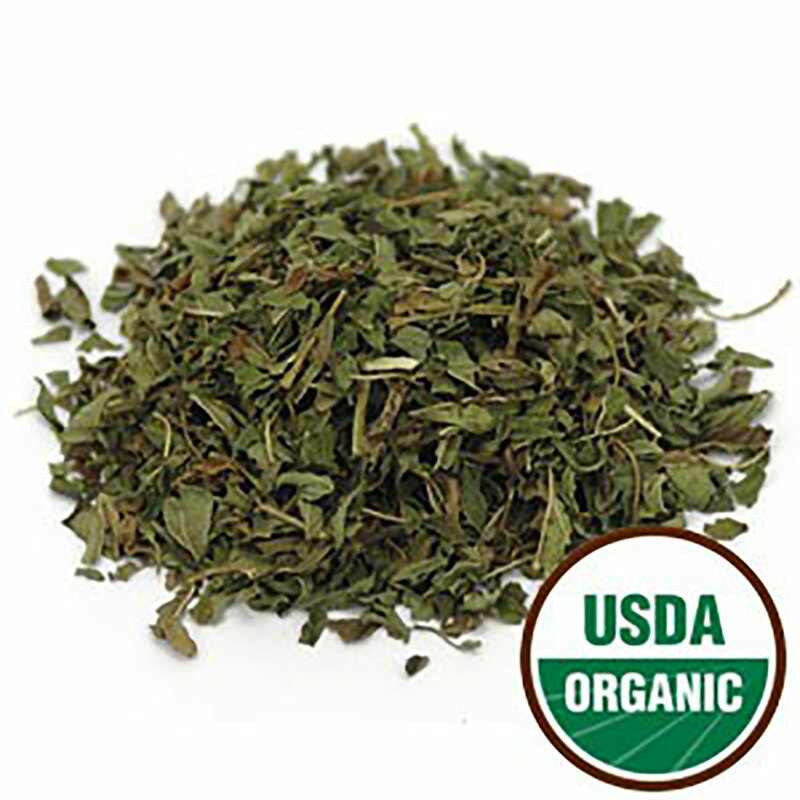 For many the best part of Tisane or Herbal Tea is the fact that it is caffeine free naturally. Of course there are herbs that can be added to change that. The most popular Herbal teas include Chamomile, Peppermint, Spearmint, and any combination of fruit blends or infusions. A majority of our remedy teas are simply herbal combinations to help with a specific ailment! PITTA: This is the energy that controls the bodies metabolic systems..including digestion absorption, nutrition and body temperature. When in balance: Contentment and Intelligence When out of balance: Can cause Ulcers and Angry digestive system. KAPHA: This is the energy that controls growth in the body. It supplies water to all body parts, moisturizes the skin and maintains the immune system. When in balance: Express love and Forgiveness When out of balance: Can lead to Insecurity and Envy.